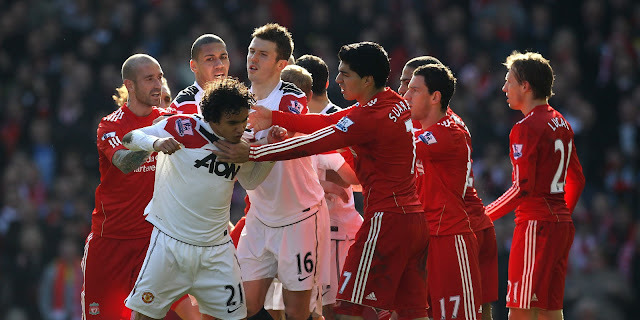 English football is filled with great rivalries, but surely none matches the intensity of Liverpool and Manchester United. These two storied clubs have won a incredible 38 league titles between them and besides their battle for supremacy in England on the pitch over the years, the two sets of supporters simply despise each other. So needless to say, the atmosphere will be electric today when these two sides meet up at Old Trafford. With the two rivals off to a slow start in the league this season, both will be hoping to kick-start their campaigns with a win. In 1999, as every United fan knows, the Red Devils won a historic League, FA Cup and UEFA Champions League (aka European Cup) treble. They are still the only English side to accomplish this feat. Twenty-two years earlier Liverpool were on the verge of a treble themselves, as they romped to the league title and would eventually vanquish Borussia Mönchengladbach 3-1 in the European Cup Final. 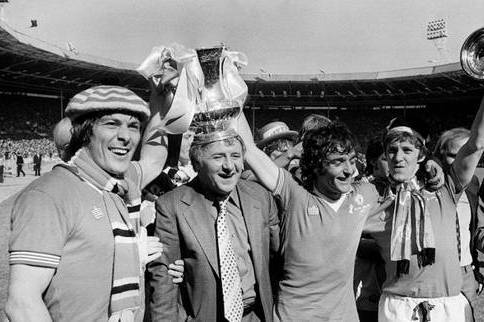 But four days before that European triumph in Rome, Manchester United stunned Bob Paisley's side with a 2-1 win at Wembley in the FA Cup Final. Goals from Stuart Pearson and Jimmy Greenhoff, scored either side of a goal by Liverpool's Jimmy Case, saw United climb the old stadium's 39 famous steps to collect the cup. 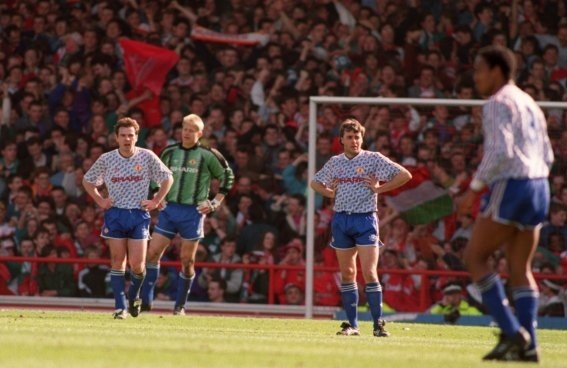 For much of the 1991-1992 season, Manchester United looked on course to finally win the league title after a 25 year wait. But after faltering down the home stretch, they were caught by a surging Leeds United side and it was none other than their old enemies Liverpool who put the final nails in their coffin. Goals from Ian Rush and Mark Walters at Anfield ended United's title dreams and sent the league trophy to Elland Road. The 1996 FA Cup Final is perhaps the perfect example of what can happen when expectations are so high for both teams before a match that they end up cancelling each other out. After 85 dull minutes the match seemed to be staggering towards extra time, but as he had done for much of the season Eric Cantona conjured up a bit of magic. The mercurial Frenchman volleyed home a sublime late winner to leave the Merseysiders crestfallen. The team that a certain former Liverpool captain had said "Couldn't win anything with kids" had won a domestic League and Cup double. With Manchester United battling a terrific Arsenal side for the title heading into the last month of the 1998-1999 season they couldn't afford to drop any points at Anfield in this late season showdown with their old rivals. After going up 2-0 with goals through Dwight Yorke and a Denis Irwin penalty United seemed well on their way to an important away win. But then referee David Elleray awarded Liverpool a very questionable penalty that was converted by Jamie Redknapp and in the 75th minute Irwin was sent off for booting the ball away just after a whistle by Elleray, a second bookable offence, and Liverpool were in the ascendancy. 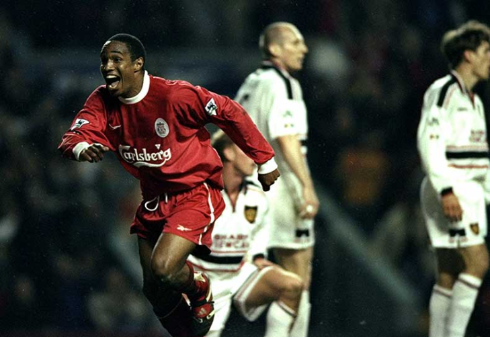 Former United player Paul Ince, who had been labelled "a big time Charlie" by Red Devils boss Alex Ferguson, scored what appeared to be a title killing equalizer in the 88th minute. Despite being handed an advantage in the title race, Arsenal would lose their second last match of the campaign to Leeds United and Ferguson's side would not falter again on their way to winning the first part of their treble. Led by an inspired Luis Suarez, Liverpool seemed on the verge of ending their 24 year wait for the title for much of the 2013-2014 season. United on the other hand were suffering through a disastrous post-Ferguson campaign under new boss David Moyes. 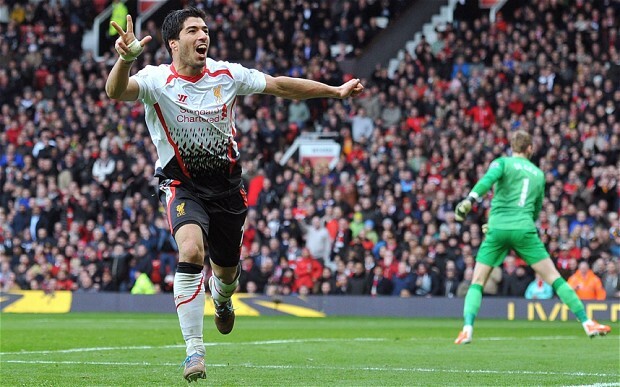 Brendan Rodgers side were dominant at Old Trafford in March of that season as they tore apart a bedraggled home side. Steven Gerrard scored two penalties and missed one, while that man Suarez added a late third. After several poor displays over the course of his troubled season at United, this might have been the nadir for Moyes and it was only a matter of time before the former Everton man was sacked after this humiliating performance. Liverpool for their part continued their rich vein of form for another month before Gerrard's costly slip up against Chelsea and an implosion against Crystal Palace saw them pipped to the title by Manchester City.